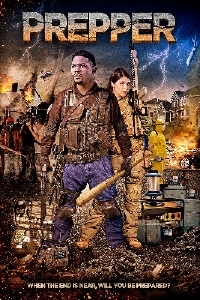 In the vein of the television show, “Doomsday Prepper”, Prepper follows ?James (played by actor Jay Bowdy in his final role) in the midst of his typical mundane suburban life until he believes the end is coming and decides to plan for the worst. Global Digital Releasing has passed along the official trailer and poster for Prepper, set for digital release this Tuesday, May 8. PREPPER has been the recipient of multiple film festival awards including Best Feature awards at the Boomtown Film and Music Festival (2017), Hollywood Independent Film Festival (2017) and Fort Worth Indie Film Showcase (2017). It was also an Official Selection at Los Angeles Cinefest, iHolly and the Lionshead Film Festival. Writer/Director Andrew Patterson says that this film is "a call for normal people to wake up and be ready.” And, action film fans can respond to Patterson’s call-to-arms this week!